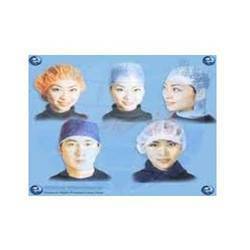 We have in stores an impeccable Disposable Buffing Cap for our valued clients. These products are precisely designed by making use of premium-grade basic material in complete adherence prevailing parameters of medical industry. All our caps are meant to be used during surgical operations. applications. Furthermore, keeping in mind divergent demands of the clients, we offer these products in different sizes. 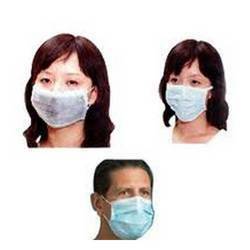 Clients can avail from us the best Disposable Nose Mask at an economical price. These masks are developed with high-grade basic material incorporating advanced technology. All these hygienically developed masks are in line with the defined parameters of the medical industry. We offer these masks in different sizes and designs to meet divergent demands of the clients. 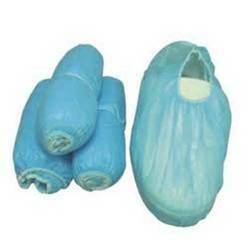 It is largely due to the support of our vendors' we have been able to put forth qualitative Disposable Shoe Cover. Developed with high-grade basic material, these covers conform with the defined parameters of the medical sector. Furthermore, to cater to the divergent demands of the clients, we offer these products in variegated sizes. Looking for Disposable Goods ?